Halloween is upon us so I hope you muses are all geared up for the festivities with your costumes, candy and creepy crawlers. I thought I'd give you guys some fun Halloween makeup looks that you can accomplish for any last-minute costumes. Pop art comic book girl is my absolute favorite look right now. Everything about it is super cool, and I actually haven't seen anyone do this in person yet, but I hope I get to see it this year. Cora of Vintage or Tacky has a superb tutorial on how to get the look. Going grayscale is a Halloween makeup look that immediately caught my attention because it's so old school and recognizable. Plus, this makeup adds more texture to practically any film noir star of the 1940s like Vivien Leigh, Mae West, Dorothy Dandridge and more. Great tutorial by Whitney Avalon. Cracked porcelain doll makeup is so much fun...and really creepy too. I think it's because of the juxtaposition of beauty and beast. You think you're looking at a pretty doll in elegant makeup, but really you're seeing a broken version of a doll that must have a unique story to tell. Lucero gives you a cool tutorial. Quick story: When I was a child, I wasn't allowed to go trick-or-treating because my parents did not believe in Halloween. I've only ever done it once in my life, and I had to trick-or-treat in a mall because my parents thought it was safer than wandering through the neighborhood getting candy from somewhat strangers. As an adult, I've enjoyed Halloween as a fun occasion to dress up. As a fashion blogger, you know I love to dress up. Of course, I've done my fair share of skimpy pirate wench costumes, but recently I've been into more creative looks like Jack & Sally from The Nightmare Before Christmas two years ago, and Daenerys Targaryen (aka Khaleesi) this year. Would love to be Neytiri next year. Looks like fun! Halloween is so big in America! So many great ideas! I'm so excited that it's Halloween!!! The Halloween pop art comic book make-up would be so amazing to do. Sadly, I got busy fixing a few friends costumes that they store bought, so I'll likely dig into my trunk of goodies to find something last minute. Enjoy! Wow this is talent! 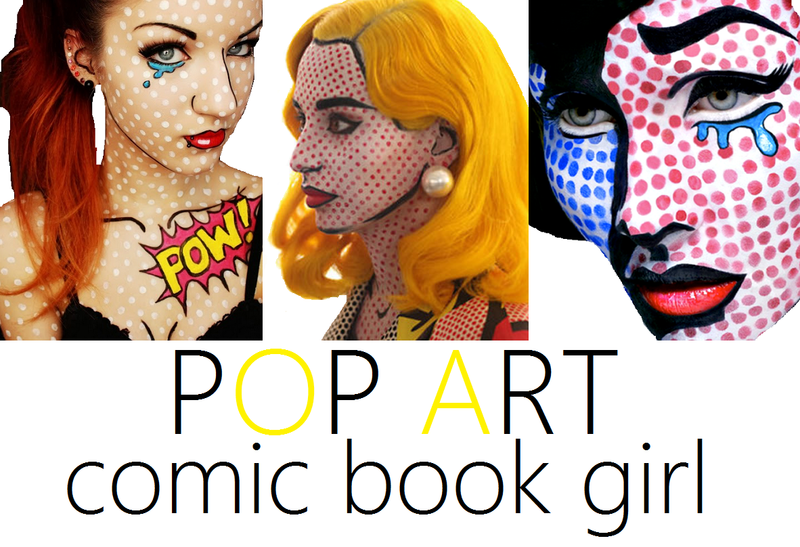 I love the different looks especially the porcelain doll and the pop art comic book girl. Wonderful pictures as well. Wow, that porcelain doll effect is crazy, is that middle one for real?! Incredible ideas!! Not scary, I love these halloween makeups.It's gonna be sweet dreams tonight. Here in Italy Halloween is celebrated in a much smaller scale. 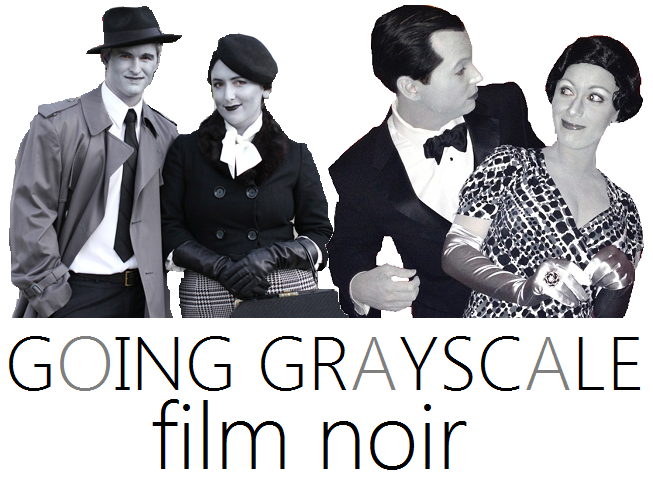 I would go film noir, but the pop art idea is very cute and inspiring. These are all so cool! 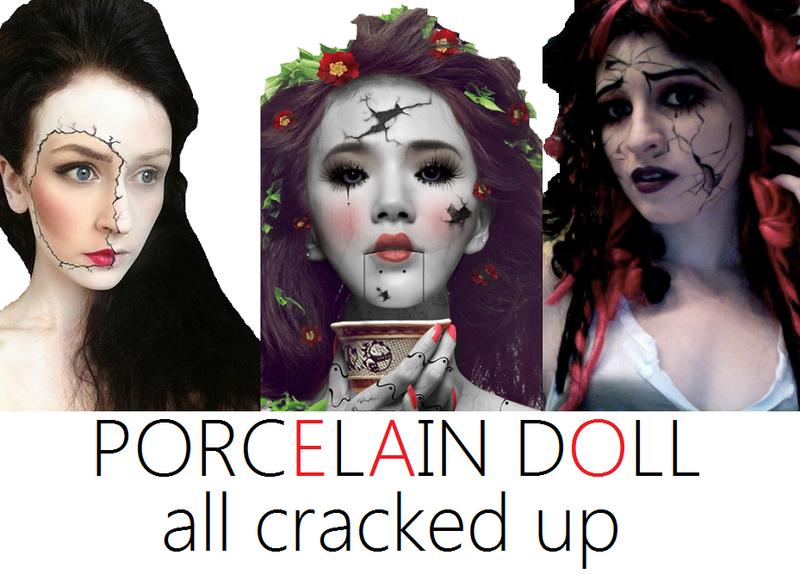 The cracked porcelain doll makeup is totally Halloween perfect! I just saw some pop-art makeup for the first time a few days ago and I just loved it. It's so awesome! Sign me up to be a porcelain doll! I love that middle picture. Well have fun with Halloween as an adult Cheryl. I know many parents that don't believe in Halloween. I was lucky to have parents that loved it. It's mainly a religious thing. They didn't mean any harm. I'm not dressing up this year. Booo. Last year I was a doll. Year before that I think Cleopatra. I had one for this year, but then had to figure out the India saree and well Halloween is upon us. I do have an idea (I was going to do this year, but will save to next year). It's been awhile since I've dressed up :P But my friends have a huge bash every year, with costume contests and everything! Loving the porcelain doll idea...beautiful but eerie! I love Halloween, these make up are amazing ! I cannot wait for Halloween to be over! i love all of those. always wanted to do the complete B&w look!